The futuristic stilt + 13 floor blocks of Belvedere is aptly located on the GST Road at Urapakkam, Chennai. It presents for the first time, innovative architectural designs providing space on three sides while the fourth opens into the landing, ensuring total privacy in the absence of a common wall. This amazing Chennai property offers 2 and 3 BHK luxury apartments with excellent amenities like a clubhouse, kids' play area, business centre, gym, swimming pool and more. 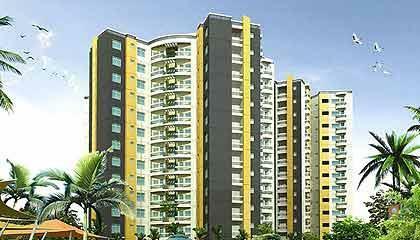 All this plus a perfect natural surrounding allows the chosen residents of Belvedere to indeed live life, king size. Further enjoying the advantage of being located on the GST Road, the upcoming boom belt of Chennai, Belvedere is just a drive away form the Vandular Zoo. Some of the best universities, schools, entertainment spots and other major landmarks like the SRM University, Ford factory and Mahindra World City are scattered in the surrounding area. The complex is also midway between the proposed International Airport and OMR, Chengalpet.